In the first part of this article, we looked at some of the areas where Aston Villa were struggling this season. An inability to successfully utilise the long ball, a lack of passing both in quantity and quality, creating few chances and conceding on a regular basis from corners were the major themes that can be drawn from the statistics. Since writing the first part, Villa have played two further games against Arsenal and Stoke. Against Arsenal at Villa Park, Villa arguably had the best of the play and deserved at least a point, but conceded a late goal from a corner. In the second part, Villa grabbed a point at the Britannia Stadium after a dour 0-0 draw. However, in both games, similar problems seemed to be occurring. Villa played 113 long balls, fractionally above their season average, with only 44 of them being classed as accurate. This works out at 38.9% accuracy rate, lower than the previous 43.2% rate. On the plus side, Villa played 829 passes during those two games, working out at an average of 414.5, significantly above their previous average, suggesting that there seems to be a move toward a more passing game. We will look at some reasons for this later. Unfortunately, the creating chances problem is still there. Only 5 shots on target in the two games combined is hardly a great return. There were an additional 11 shots off target, totalling 16 shots in the two games, perfectly matching their average. On the corners front, there was yet another goal conceded from corners against Arsenal of all teams. A simple cross in was met by the 5`10 Yossi Benayoun for a late winner, despite the attention of Gabby Agbonlahor. However, against the powerful physical presence of Stoke, Villa defended well to keep them out, although they did require a combination of crossbar and Agbonlahor to keep out Wilson’s header. One noticeable change in the backline for these two matches was the inclusion of Carlos Cuellar, in place of James Collins against Arsenal and for the suspended Hutton against Stoke. In the past, he has received criticism for just launching the ball long when he gets it, surrendering possession. However, against Arsenal, his pass completion rate was the highest of any Villa player at 83%, while against Stoke, his 80% completion rate was only bettered by Stiliyan Petrov and Charles N’Zogbia. Having watched the games, he is getting the ball down and looking to feed the likes of Stiliyan Petrov and Ciaran Clark, the more natural passers in the team. In comparison, James Collins has a season average pass completion rate of only 68%, significantly lower than the numbers that Cuellar has posted in those two matches. In terms of keeping possession then, we can see that the introduction of Cuellar has improved things. However, much of the passing came in Villa’s own half, rather than in a threatening position. Against Stoke, there were only two Villa players whose pass completion in the attacking third was over 50% - Charles N’Zogbia at 75% and Stiliyan Petrov at 91%. Against Arsenal, things were better, with 7 players over 50% and four over 70%. So, what do Villa need to look at doing to improve things further? For any tactic to be successfully implemented, the correct players are needed. We will first look at the current options - transfer will be discussed later. The goalkeeper position at Villa is one of the strong points – Shay Given has been excellent this season, while Brad Guzan has filled in very capably for him in the last four matches. In defence, the usual back four has been Dunne and Collins in the centre, with Warnock on the left and Hutton on the right. As we have looked at earlier, the inclusion of Carlos Cuellar seems to provide a boost in keeping possession and beginning to build from the back, suggesting that it would be useful to find a place for him in the starting line-up on a more regular basis. There has also been calls for Chris Herd, the young Australian midfielder, to move back to right-back, replacing Alan Hutton. This argument is predominantly based on the match against Wolves, where he successfully covered this position, but he has been impressing in midfield and is not a natural fullback, so I would resist these calls. 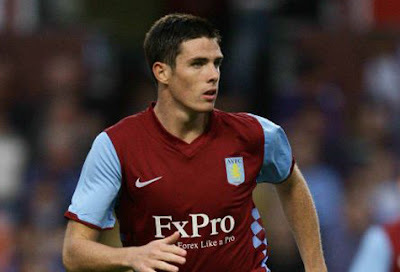 The other player to consider is Ciaran Clark. The young defender was impressive last season, but has struggled to get a place this year. He has come in for the last two matches in a holding midfield role, without impressing hugely. It is not his natural position, so we need to cut him some slack. Personally, I would like to see Ciaran Clark partnering Richard Dunne in the centre. Clark is a very talented youngster and also comfortable on the ball. He has been playing in the midfield due to his passing ability and tackling skills, so by shifting him back into his natural position, he will bring a bit of calmness into the backline. Stephen Warnock is an automatic choice at left-back, as much due to lack of alternatives as anything. However, after falling out with Houllier last season, he has returned this year and has been fairly solid for the majority of the season. At right-back, I would like to see Carlos Cuellar replace Alan Hutton. While it would be sacrificing some attacking threat, he is a much more solid defender, and has shown that he is good at finding a midfielder with the ball now, rather than just lofting it forward. He has also worked hard at his attacking ability, and while he falls behind Hutton in this respect, he will provide an option. The centre of midfield has been a problem for Villa this season. While Stiliyan Petrov has been a rock in the centre this year, filling the other positions has been more difficult. Fabian Delph, Stephen Ireland, Ciaran Clark, Chris Herd, Emile Heskey, Jermaine Jenas and Barry Bannan have all played here, although none of them have shown the performance to make the position theirs. Unlike previous seasons, McLeish has given Petrov much more of a licence to go forward, and this has been repaid with three goals and two assists, making him third top scorer and second highest creator in the side. I would like to see a three-man central midfield, with one holding midfielder, one box-to-box player and one attacking midfielder, playing just off the striker. Petrov has shown this season that he is capable of playing the box-to-box role, despite continuing concern from many fans over his stamina. He has made more passes than any other Villa player this season and outside the back four, has made more tackles than any other player in the team. Looking at existing Villa players, it seems obvious that the attacking position should be filled by either Barry Bannan or Stephen Ireland. One other option would potential be to use Charles N’Zogbia in this role, where he often played for Wigan last season, where he grabbed nine goals and seven assists, as compared with his zero goals and one assist so far this season. There are not too many options for the two wing positions. Marc Albrighton had an excellent first season last year, but has been disappointing this year. He played well against Arsenal, but has been invisible in the majority of matches this season and needs to add something more to his game as defenders are beginning to be able to predict him too easily. Charles N’Zogbia has been slowly improving after a slow start, although needs to start getting amongst the goals if he is to begin to repay his transfer fee. Gabby Agbonlahor has been playing in this winger/wide-forward position this season and has been excellent. He has five goals and seven assists already, and his powerful running has caused plenty of problems for defences all season. Up front, Darren Bent has been in fairly poor form, but he still has five goals and he is still one of England’s best strikers. Outside of him, there are not too many options – Emile Heskey is without a goal since mid-August and has only nine goals in 79 games for Villa; Nathan Delfouneso and Andreas Weimann are still to show that they can cut it at this level. You will notice that I have left out the holding midfielder. This is because I don’t believe that Villa really have any player capable of filling that role at the moment. Chris Herd has been playing there so far with some success, although I am still to be convinced he is Premiership quality – as a backup, he would be a solid player, but I would be looking for something slightly more in a starter. We will look at this in the transfers section later. 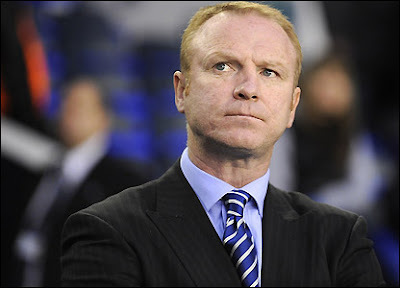 So far this season, McLeish has been employing more of a zonal marking system from corners. This is where each player marks a zone, generally in the danger zones of the near post and the penalty spot, rather than picking up individual players. Employed effectively, this can be a successful tactic, as demonstrated by Barcelona, but it has clearly not been working at Villa under either Houllier or McLeish. It is always susceptible to runners from deep, who are able to get a running jump over the static defenders, and it requires the two or three key defenders to win the majority in the air. It also has the problem that teams can exploit it by overloading certain areas in the penalty box, leaving one defender having to cope with several attackers. The problem here is that if the ball drops loose in the area, the attacking side can find themselves with several players competing with fewer defenders to get on the end of the rebound. This is a problem that Villa have found this season with five of the ten goals conceded from corners having come from a rebound situation, where the ball has dropped loose in the area. A switch to a more old-fashioned man-marking tactic from corners could be more effective in the short-term. If each defender is tasked with a set attacker, it should negate the issue of overloading, and would shift the responsibility to individual players, rather than having the team looking around to try and figure out who is to blame for the goal. With the earlier starting line-up, we have Richard Dunne, Carlos Cuellar and Ciaran Clark, who are all strong in the air, while Stephen Warnock and Stiliyan Petrov can play a role in picking up some of the smaller players. In addition, either Chris Herd or the new defensive midfielder would also be an asset picking up a further player. While we have seen that Villa don’t play an excessive number of long balls, it has not been a successful tactic. Darren Bent is not a target man and it just results in possession being squandered too regularly. There is nothing wrong with playing the odd long ball now and again. With the pace of the likes of Agbonlahor and N’Zogbia, playing balls over the top behind the fullbacks can be an effective tactic. However, aimlessly lofting the ball up toward Bent, with no other players near him, is certainly not. Unless McLeish is looking at bringing a target man into the club in January, there needs to be a move toward shorter passing. Cuellar has been good at this in the last two matches, and the addition of Clark to the defence should help to improve this further. However, it does rely on good movement from the midfielders to give the defenders an option. 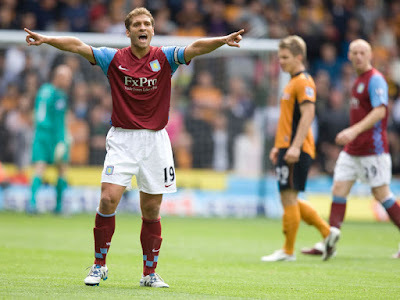 Stiliyan Petrov is very good at this, but it needs another midfielder to look for the ball on a more regular basis. This is one of the major problems of having played Emile Heskey in midfield. He is not a midfielder and is not hugely comfortable on the ball. Fabian Delph has been poor, and his first touch has let him down far too often this season, and similarly Chris Herd puts himself about, but is not a natural ball-player. It means that by closely marking Petrov, teams can limit the options for the defenders, usually resulting in a long ball toward Bent. With Darren Bent, Gabby Agbonlahor, Charles N’Zogbia and Marc Albrighton, there is plenty of potential for Villa to counter-attack rapidly – a tactic that was very effective under Martin O’Neill. Playing quick, short balls from the defence is the basis for this and should be promoted far more often. Villa do not have the creative players to break down defences at the moment, so quick breaks should be something McLeish is looking towards. Working on the assumption that there is not much money to spend for McLeish in January leads to the return of the much-loved sell-to-buy policy. 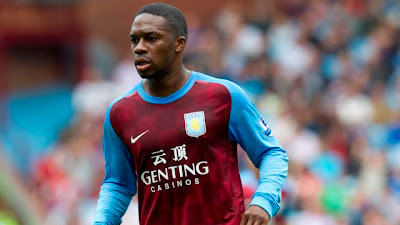 Whether Lerner does make additional money available to McLeish remains to be seen – last January, Houllier was able to splash out £24m on Darren Bent, although supposedly this was offset against the Young sale in the summer. However, to begin with, we will assume that Villa can only spend what they recoup. The first player to offload would be James Collins. He has been a good servant for Villa over the past three years, but he makes too many mistakes and plays far too many long balls, and seems unable to change this. Newspapers have linked him with a move to either Newcastle (to provide cover for the injured Steven Taylor) or to Sunderland (to re-join former boss, Martin O’Neill). The rumoured fee is around £5m. If there is any possible way to sell Habib Beye, or come to an arrangement to terminate his contract now, it should be taken. He has barely played for Villa in years and is currently on loan at Doncaster, although Villa continue to pay him £38k per week. While there may be no transfer fee recouped from this move, it would free up the wage budget. Given he has six months left on his contract, this would save almost £1m in wages. 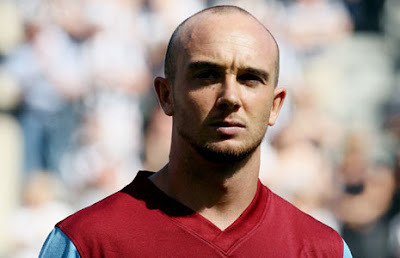 I would also look to move on the pair of Stephen Ireland and Fabian Delph. While there is definitely a talented player inside Stephen Ireland somewhere, he has failed to show it for several years now, and when he is being paid around £80k per week, this could be much better utilised elsewhere. Even if you could only bring in around £4m for him, that would be an additional boost to the kitty. When Fabian Delph came in the summer of 2009 for £6m, he was built up as an excellent young player. However, a serious injury in April 2010 curtailed his progress and he seems to have struggled to rediscover his form. Given that he has still failed to really show his talent at any level other than League 1, it might be worth sacrificing him to raise fund. He still has the reputation from his Leeds days and one would imagine Villa could recoup most of the money they spent on him. If we estimate somewhere in the region of £5m for him, that would be about right. Finally, I would be looking to offload Nathan Delfouneso. Despite plenty of hype, he is still to show that he can cut it at this level and I would imagine there would be a lower Premiership team or Championship side who would be willing to spend around £2m on him. With these transfers out, it would leave around £15m to spend for McLeish in January, as well as freeing up around £200k per week in wages (or around £5m before the summer). The key position to bring a player in would be a new holding midfielder. For me, there are two options – either sign a player on a permanent contract or bring a player in on loan until the end of the season. 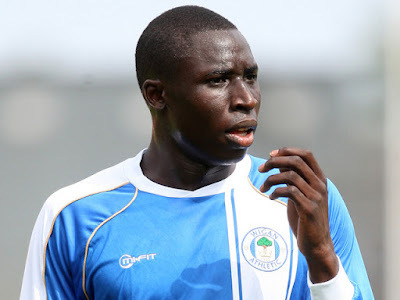 If McLeish was looking to sign a player on a permanent deal, one obvious name would be Wigan’s Mohamed Diame. He is a big, strong physical presence, which would bolster a fairly lightweight Villa midfielder. He gets about the park well and his pass selection is pretty good, as one would expect from a player who has spent three years under Roberto Martinez. He is out of contract in the summer and would likely be available for around £2m. The foremost option in the loan category would be Arsenal’s Emmanuel Frimpong. Again, he is a strong physical presence, who is not afraid to get stuck in, and having come through the Arsenal ranks under Wenger, he is very comfortable on the ball. Wenger has admitted that he would be willing to let Frimpong go on loan in January, so he could be a very good short-term option. One club meant to be busy looking to offload some squad players in January is Manchester City. 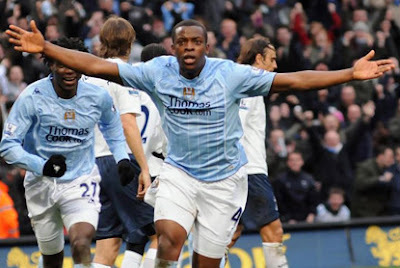 One particular player catches the eye – Nedum Onuoha. The former England U21 international had a good season on loan at Sunderland last season, but has found himself without a game back at his parent club this season. Rumoured to be available for around £4m, he would be an excellent signing to boost Villa’s backline, being able to play anywhere across the back. He could provide competition in both fullback positions, as well as covering in the centre if required. 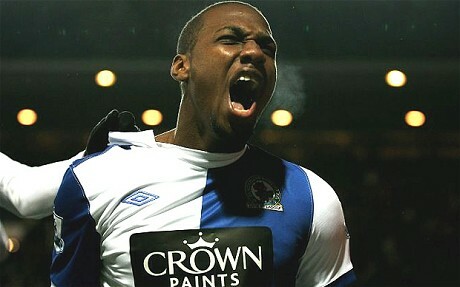 Another player that is out of contract in the summer is Blackburn’s Junior Hoilett. One of the few shining lights of Blackburn’s season, he is expected to be the subject of several bids from various clubs in January. He would be an ideal player to provide added talent in the wing positions or up front. Available for around £6m, he would be a very good signing. 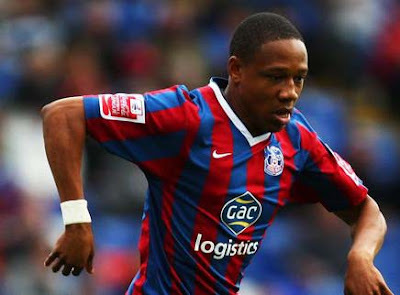 One final signing I would recommend would be Crystal Palace’s Nathaniel Clyne. The young fullback is out of contract in the summer and has told the club he does not want to sign a new contract. Therefore, they may be tempted to try and cash in on him in January. An offer of around £3m should be enough to tempt Palace to sell. 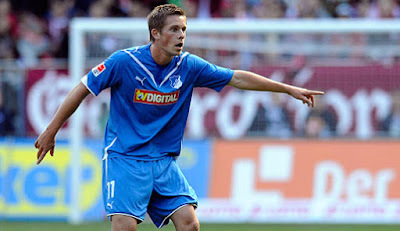 He would be an excellent prospect for the future and provide good competition for Warnock and Cuellar or Hutton. Those four players would replace those that would be leaving the club and strengthen the team, both in the short and longer term. However, if Randy Lerner is willing to make any additional funds, whether that be out of his pocket or from the sales in the summer, available, then there are one or two other names that could be worth targeting. Leverkusen are willing to listen to offers for Swiss international, Tranquillo Barnetta. Another of those out-of-contract in the summer, he would be available for around £4m, and would certainly add some additional quality on the wing, providing added competition for the likes of N’Zogbia and Albrighton. One more expensive option would be Hoffenheim’s Icelandic international, Gylfi Sigurdsson. Formerly of Reading, he had an excellent season last year, scoring nine goals from midfield, but has fallen out of favour with the new manager this season. An expert from long range and set pieces, he would provide an additional threat that Villa do not currently have. One stumbling block might be the transfer fee, which I would expect to be in the region of £8.5m, but if Lerner wants to make the money available, he could do much worse than look toward Sigurdsson. With the sell-to-buy transfers and this little extra indulgence, Villa could be lining up with a much stronger side come the end of January. With Shay Given returning in goal, the defence would have Hutton, Clyne and Cuellar battling for the right-back slot, with Warnock or Clyne on the left side. In between, Richard Dunne and Nedum Onuoha has the potential to be a solid partnership, with Cuellar and Clark also providing options for McLeish. With either Diame or Frimpong acting as the midfield destroyer, Stiliyan Petrov in the middle and either Barry Bannan, Charles N’Zogbia or Gylfi Sigurdsson providing the attacking threat as the third midfielder, there would be plenty of options. The width would be provided by two of Charles N’Zogbia, Marc Albrighton, Junior Hoilett and Gabby Agbonlahor, all of whom could switch between either wing to add an additional threat. Finally, Darren Bent would continue as the lone striker. Admittedly, there is not much backup for him were he to pick up an injury, but Agbonlahor or Hoilett could step up, and Emile Heskey is there to provide a more physical presence if need be. The introduction of Cuellar, Onuoha and Diame or Frimpong would add a physical presence that Villa often seem to lack, while there is ample pace among whichever combination of the front four that McLeish chooses to pick. There is plenty of scope to improve the side in the January transfer window, which could strengthen the team and begin to move it toward a more effective style of play given the options available. It would see players coming into the defence who are more comfortable, or at least more willing, to try and pass the ball out of defence, as well as midfielders who want the ball to provide the options for the pass. Counter-attacking football would still be a good way forward, given a lack of outstanding creative players. With the pace and lack of physical presence in the attacking options, quick attacks at pace would seem to be the natural way forward, and it can be very effective as Villa saw under Martin O’Neill. These are all realistic signings for realistic transfer fees. Whether we see anything like this in January remains to be seen, but there is certainly plenty of scope for improvement.